Do you remember that big, beautiful title that would only be for the Wii U that would help give us a reason to need controller with a touchscreen in it? It was going to be a sequel to another game that was similar and got a ton of praise, and it would launch with the Wii U (but was ultimately delayed)? What was that game? Ah yes, Rayman Legends. As of today, the game will now come out for the top three consoles, and it will be delayed even further! The PS3 and 360 versions of the game are being created by the same team – Ubisoft Montpellier – working on the Wii U version, so the quality should be the same throughout. However, this turn now is pushing the game back to September of 2013, nearly a full year beyond when we had hoped to see it on shelves for the Wii U. No word yet on if or how the five player aspects of the Wii U version will be implemented on the PS3 or 360, but each console now has a second screen utility (GamePad, Vita, Smartglass) that could be the asynchronous player in control of that flying, green bug thing. Today, Ubisoft announced that its forthcoming title Rayman Legends, already announced for the Wii U™ system from Nintendo, will also be released on the Xbox 360® video game and entertainment system from Microsoft and the PlayStation®3 computer entertainment system. All versions now will hit shelves in early September 2013. The Microsoft Xbox 360® and Sony PlayStation® 3 versions of Rayman Legends are being developed by Ubisoft Montpellier, the same team behind the Nintendo Wii U™ game. 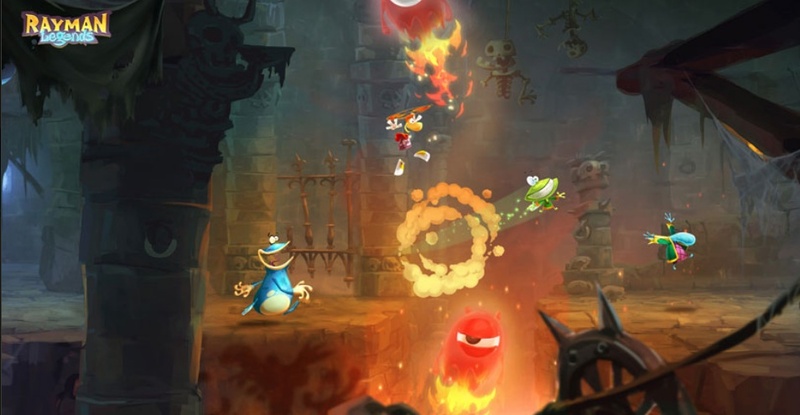 Rayman Legends has been praised for its stunning visuals and innovative gameplay by media around the world and labeled as one of the most anticipated platformers of 2013. I played the demo of this a bit ago and it seemed really awesome. This is rather lame news to say the least. Well, it’s hard to stop people in suits from making bad decisions.